Hollywood is calling on the US courts to force Hotfile, the popular file-sharing site, offline following similar action against Megaupload. Court papers unsealed this week reveal that the Motion Picture Association of America (MPAA) has filed a motion for a summary judgement. If approved, the move could lead to action against the service without the need for a lengthy trial. Hotfile says it removes copyright-infringing files on request. Details of the development were revealed by Mediapost News and the Torrentfreak blog. 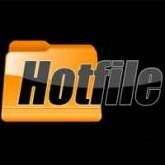 It marks the latest step in the film studios' year-long legal effort to have Hotfile shut down. The court papers name Disney, 20th Century Fox, Universal Studios, Columbia Pictures and Warner Bros as the plaintiffs. They claim that "Hotfile actively fosters the massive copyright infringement that fuels its business", adding that "more than 90% of the files downloaded from Hotfile are copyright infringing, and nearly every Hotfile user is engaged in copyright infringement". The studios claim that Hotfile's business model is "indistinguishable" from that of Megaupload and draw attention to its affiliate programme. This offered users payments based on how many times their files had been downloaded. The studios claim this encouraged "the uploading of 'popular' (ie infringing) content". 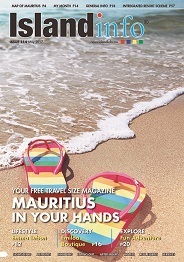 Panama-based Hotfile has claimed safe harbour protections under the Digital Millennium Copyright Act. These offer sites immunity if they take down illegal material when asked and protect services such as YouTube from being forced offline if a member uploads someone else's video. However, the studios claim Hotfile does not qualify because it did not identify, keep track of or "terminate" repeat offenders. The movie makers say their own efforts to identify repeat offenders found that some had received 300 or more infringement notices. The studios add that nearly all of Hotfile's top affiliates who had received payments "were egregious repeat offenders". Hotfile did not respond to the BBC's request for an interview. However, its website notes that it has made changes to "facilitate the identification of repeat infringers" and goes on to say it has become "more aggressive" about terminating accounts. It adds that it has installed new "fingerprint" technology to block copyrighted files from being uploaded and has also changed the way its affiliate payments are calculated. Although the case against Megaupload has yet to go to trial, the Media Industry Blog's Mark Mulligan said the fact the site had been taken offline had given copyright holders fresh impetus to target other digital locker services. "These lockers are the easiest target to hit to take out a very sizeable chunk of the piracy market," he said. "If the service providers are serious about wanting to heed the industry's concerns then instead of assuming that all of the content is legitimate until found otherwise, they should actually assume that most of the content is illegal and take action. "Much of the content on these service is very high quality video files - how many consumers genuinely create large high definition videos of their own and upload them?" However, he warned that even if the studios succeed in shutting other lockers down - the victory might be short-lived. "Closing such sites down will undoubtedly be a body blow to piracy, but the history of music piracy shows us that every time you close something down it's like a game of digital whack-a-mole - another one pops up."